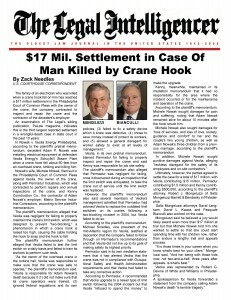 Pasquale Bianculli recently achieved a $17,000,000 settlement for the family of an electrician who was tragically killed on the job. 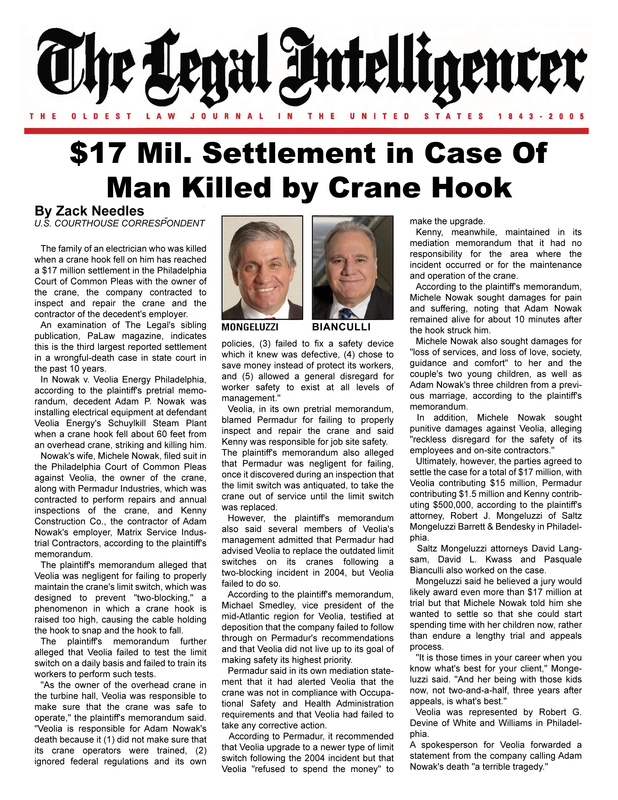 This was the largest reported settlement of a wrongful-death case in Philadelphia County history. To learn more, read this featured article from The Legal Intelligencer.